California Pizza Kitchen (CPK) introduced a cauliflower crust made with gluten-free ingredients to its menu in January. Eager to explore dishes that put vegetables at the center of the plate, CPK makes its cauliflower pizza crust in a certified gluten-free facility with a custom blend of mozzarella cheese, rice flour, herbs and spices. The new cauliflower crust provides a lower-carb alternative to its traditional gluten-free crust, which was added to the menu in 2013. Any CPK pizza can be prepared on one of the gluten-free crusts for an additional charge of $2.50. 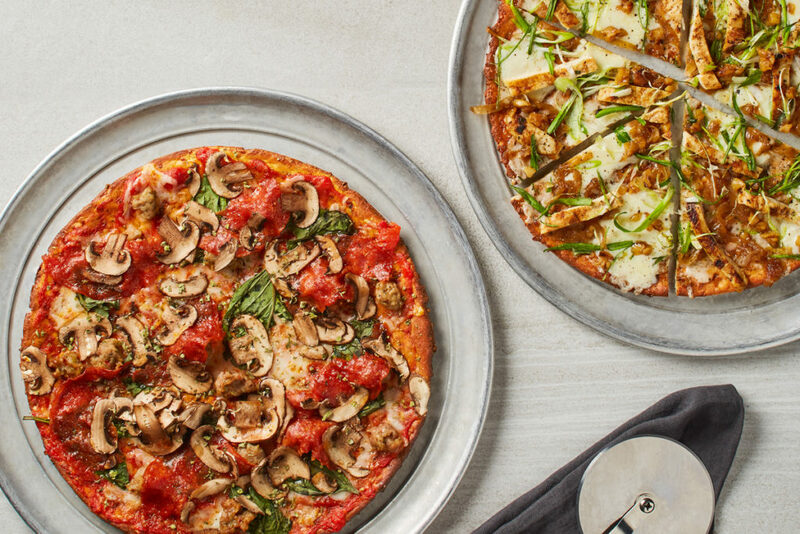 CPK’s gluten-free offerings comprise four pizzas: barbeque chicken; pepperoni; mushroom, pepperoni and sausage; and Margherita. Each pie is prepared using the safe-handling procedures created and approved by The Gluten Intolerance Group (GIG). Due to kitchen space limitations, only the four varieties listed above adhere to GIG’s certified procedures. All other pizzas are made in a shared cooking area, putting them at risk of cross-contamination with wheat. Dining out with family and friends is such a central part of living a happy, healthy, gluten-free life that you should not let the challenges it presents stop you from enjoying a meal outside your home. Find tips and advice for safe restaurant visits and recommendations on places to enjoy a fantastic gluten-free meal, visit our Eating Out section! And for those times when you’d rather stay in and prepare your own gluten-free meal, check out our collection of delicious gluten-free recipes!